LittleBIGPlanet. We've covered it extensively here at Co-Optimus, and rightly so; the game is fantastic, by almost any measure. Much has been said about the level creation features, the downloadable content, and many other parts that make LBP so special. 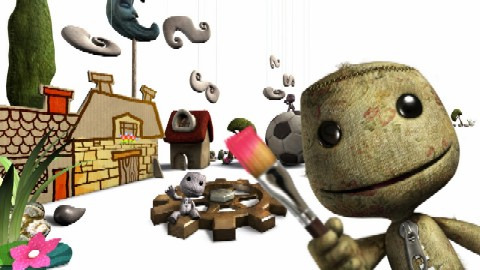 But there's one aspect that has been overlooked somewhat, and that is LittleBIGPlanet's broad appeal. You'd be hard pressed to find a game more fun, enjoyable, and still appropriate for everyone, from the very young child who's never held a controller before to a seasoned gamer who has played it all. 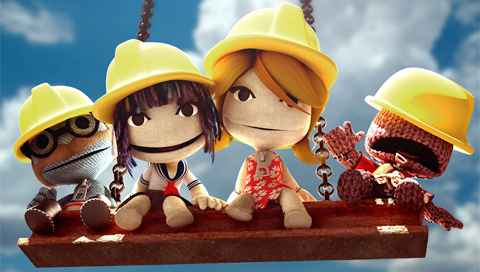 For this reason, LittleBIGPlanet is a natural choice for Co-Op Casual Friday. Why is LittleBIGPlanet so appealing? One big reason is Sackboy himself. The simple, cutesy features, the adorable shiny button eyes, and the zipper front are enough to make anyone smile. Event the textures on Sackboy add to the charm: doesn't he look warm and cuddly? Most games, even those designed for kids, feature characters that can be scary. Look at Ben 10, the X-Men, even Harry Potter. But Sackboy is the opposite. He's as non-threatening as they come. The environments are incredible as well. I'm speaking mainly of the official campaign, which is chock full of imagination and fun. Fans of classic platformers like the Super Mario Bros. series will be right at home here. That may sound old fashioned to some, but hey, if it ain't broke, etc. etc. Funny characters, grin-inducing vehicles, and generally silly situations all add to the fun. Even when your Sackboy "dies", he's adorable, and you'll be giggling no matter how many times you've had to restart. That's not to say the game is challenging, but you're having such a good time, it's hard to get upset. LittleBIGPlanet's customization features are another reason why kids and non-gamers love it. During play, all sorts of items unlock for you to use. Most popular, of course, are the costumes for your Sackboy. Many of these are free (or at least were at one time) such as the Santa suit, Jack-o-lantern mask, and Spacesuit. Others you have to pay for, which is a bit expensive, but they are just so cute! Who wouldn't want an iddle biddy Kratos from God of War (incidentally, NOT a kid friendly series), or SackRyu from Street Fighter? You can even make your own costumes! I slapped a sombrero, droopy moustache, and a poncho on my Sackboy, and he looked like something right out of a Spaghetti Western. All the costumes, stickers, and other items are a great way to encourage replay; you'll want to "catch them all", so to speak.